MANILA, Philippines - Jam Fernando "Jam" Sebastian, one half of real life YouTube couple Jamich, has died today after battling stage 4 lung cancer. He was 28. Jam's mother Maricar Sebastian says "the fight is over, we lost the battle my son Jam Fernando Sebastian just passed away 10:30 am March 4, 2015." Yexel Sebastian also shared news about death of his brother through video post on the networking site Facebook. "Thank you Jam for the Love. Thank you for the memories. Thank you for being a part of our Life. Heaven awaits you my son. 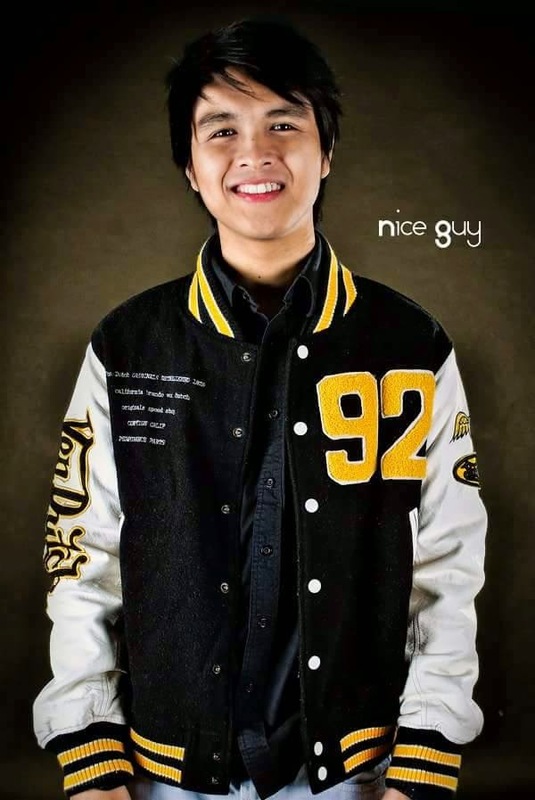 We Love You so Much!," Mich's father Christopher Joseph Liggayu said on Facebook. 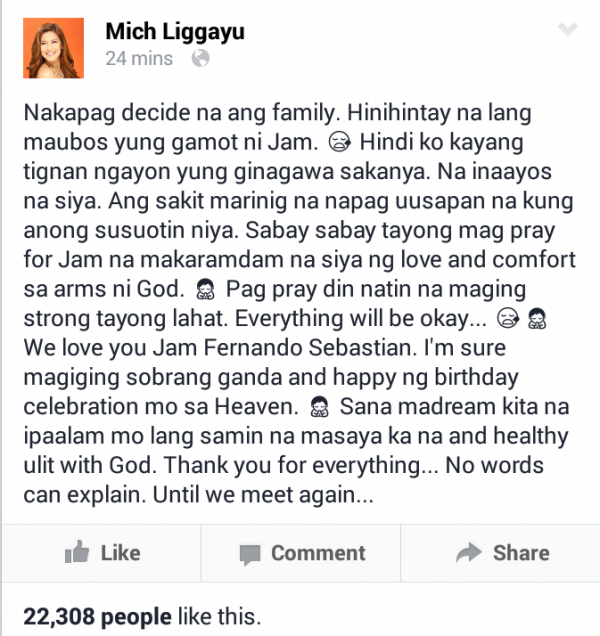 Around 9:00 in the morning, Mich's father has shared on social media that Jam's vital signs were all very low. "His blood pressure is way too low. Hindi na po sya nakakausap at nag rerespond. All we can do is pray." Meanwhile, Jam's fiancee thanked God that he would not suffer anymore. “We love you Jam Fernando Sebastian. I’m sure magiging sobrang ganda and happy ng birthday celebration mo sa Heaven. Sana madream kita na ipaalam mo lang samin na masaya ka na and healthy ulit with God. Thank you for everything… No words can explain. Until we meet again…” Mich said. Fans of the popular couple took to social media to express their sympathy to Sebastian’s family. Yexel on Wednesday night announced through social media that wake of Youtube star is at the Loyola Memorial Chapels along Sucat Road in Paranaque City. Last week, Sebastian's family shared that Jam is already on life support and fighting inspite the pain he's suffering.